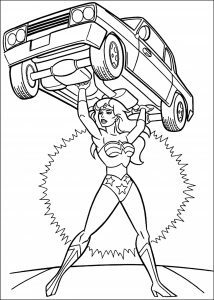 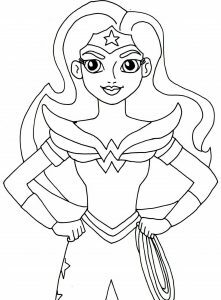 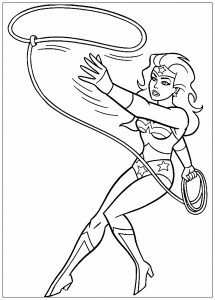 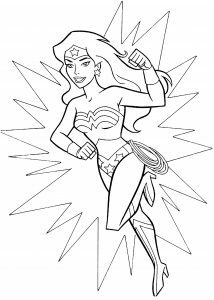 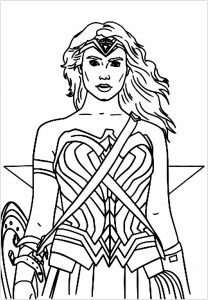 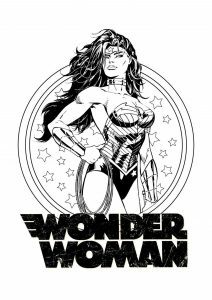 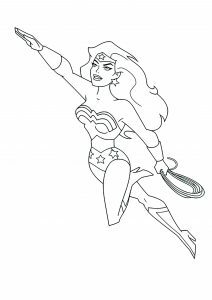 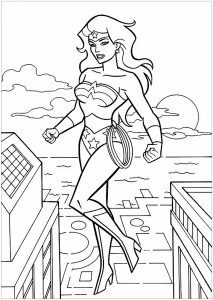 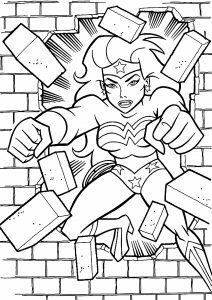 Discover Free Fun Coloring pages inspired by the DC Comics Super heroine Wonder Woman. 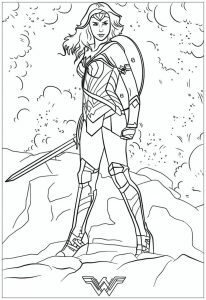 Her real name is Diana, and she is the daughter of Queen Hippolyta, ruler of the Amazons. 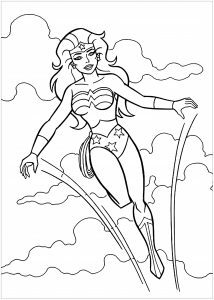 Most of all, she is one of the first female superheroes in American comic books and the most famous, most recognizable female superhero in the world. 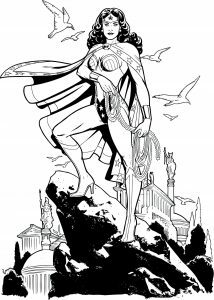 She first appeared in the pages of All-Star Comics # 8, published in December 1941. 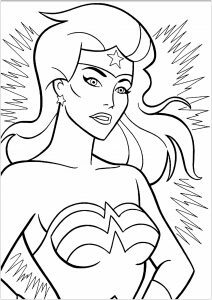 Her first solo comic book debuted in the summer of 1942.